Proposed Fees for ER Visits? Babies cannot tell time. They don’t know that they aren’t supposed to get ear infections after hours, or during peak call times. They don’t know that their scary fever cannot be accommodated by a filled-to-capacity PCM schedule. And, apparently, the fine folks in Congress don’t understand what it’s like to try to comfort a screaming baby, stay on hold for the next available customer service representative on the appointment line, keep a busy toddler from digging through the trash, and stifle our overwhelming urge to cry at the sheer madness that is trying to get a sick kid in to see their doctor in a timely manner. But we do. We all know the frustration and desperation at being told there are no appointments available for our sick child. We’ve all been there. We’ve begged for a referral to an urgent care center in town, only to be denied. We’ve pleaded for a timely sick child appointment, only to be told that the next available appointment would be in 6 days. But our baby is sick, we’ve cried! An ear infection cannot wait 6 days! “You always have the option of going to the emergency room,” the voice on the other end replies. Well now that “option” may also have a consequence. I think everyone can agree that going to the Emergency Room for a non-emergent condition is a waste of time and precious resources. That being said, does anyone know anyone who runs to the ER for kicks? No? Me either. So why do our families head to the ER? Because parents have a sick child – or they themselves are ill – and they cannot get an appointment with their Primary Care Manager (PCM) or a referral from Tricare to go to a local urgent care center. On paper, the Tricare Treatment Guidelines say that sick child appointments must be scheduled within 1 day or less. The reality is something very different. All too often I was told that the next available appointment for a fever and possible ear infection would be 6 days after the call. I had the option of going to the Emergency Room, though! After a few years of this level of care, we were transferred and, although we are Prime, we are seen by civilians in town. For some, the work-around is to switch to Standard. But for many of our families, money is hard to come by. They are one income families struggling to purchase diapers for special needs children who are too big for pull-ups but too small for Depends. They buy weighted blankets. They fight Tricare for weighted vests and PediaSure. 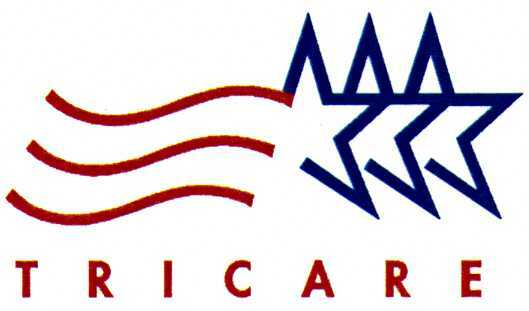 And now, when they cannot see a physician in a timely manner for their already disabled child, Tricare wants to slap an ER misuse penalty on them? When it’s perhaps their only option for care in under a week? What are the details of this proposed ER misuse fee, you may wonder? Well, unsurprisingly, the details are a little blurry. Our friends at SpouseBuzz say that the fee may be rank-based ($30-$70, depending). They also state that the definition of “misuse” is about as clear as mud: who will define that? Is an ear infection misuse? Probably not to the parent of that child. A migraine sufferer who needs relief? Three days of vomiting and a fever, but no appointments for 4 more days, and no urgent care referral allowed? I don’t know. I don’t have answers – I have questions. No one thinks frivolous ER visits are good. But when it’s tossed out as the only care option many of our families have for a sick child, or themselves, I think we deserve better. At the bare minimum the fine print would be nice. Please visit National Military Family Association and SpouseBuzz to read more about this issue, and others in the proposed 2016 Presidential Budget. If you have experienced the frustration of being told that a trip to the ER is the only care option for your sick or in pain child or yourself, please add your story in the comment section. We’ll make sure our friends at NMFA add yours to the growing list! This entry was posted on April 24, 2015 by militaryspecialneedsnetwork in All, benefits, budget proposal, congress, Military Life, military special needs network, MSNN, Tricare and tagged 2016 presidential budget, congress, TRICARE.